Dawn of Peacemakers is set in Daimyria, the same world as both the original Dale of Merchants and Dale of Merchants 2. 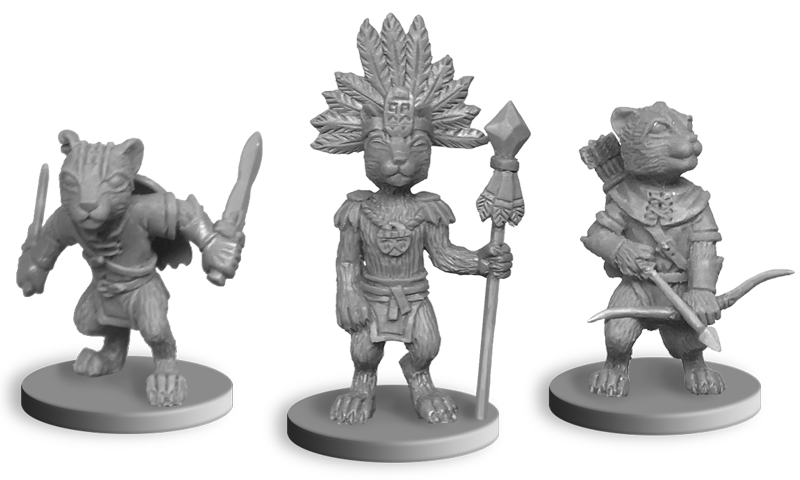 Although, it takes place almost one thousand years before those games, you’ll be able to spot many familiar animalfolks. Are you ready to dive into the exciting world of Daimyria? 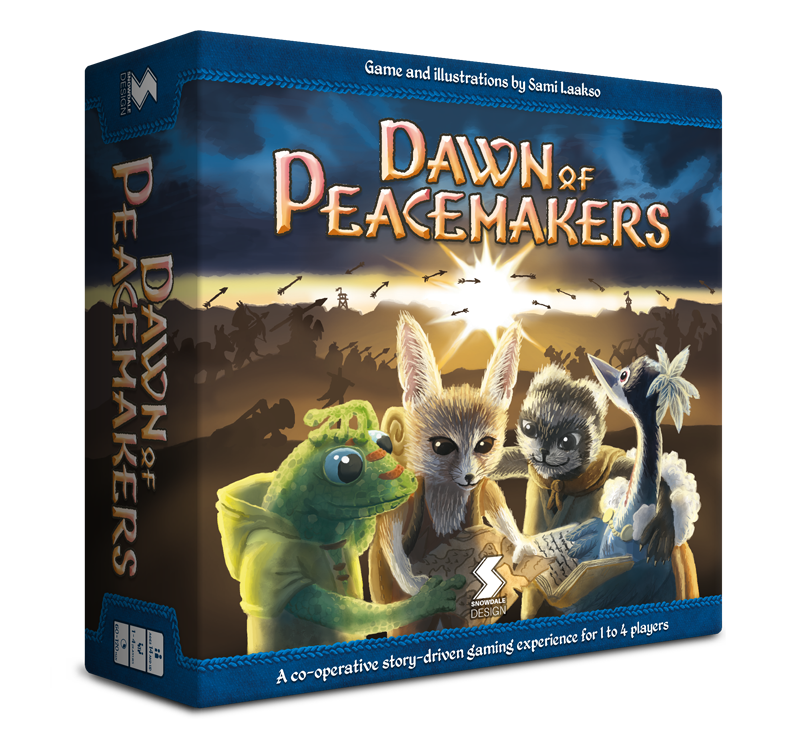 Snowdale Design co-operated with Club Fantasci and successfully collected funds to bring Dawn of Peacemakers to life with Kickstarter in November of 2017. 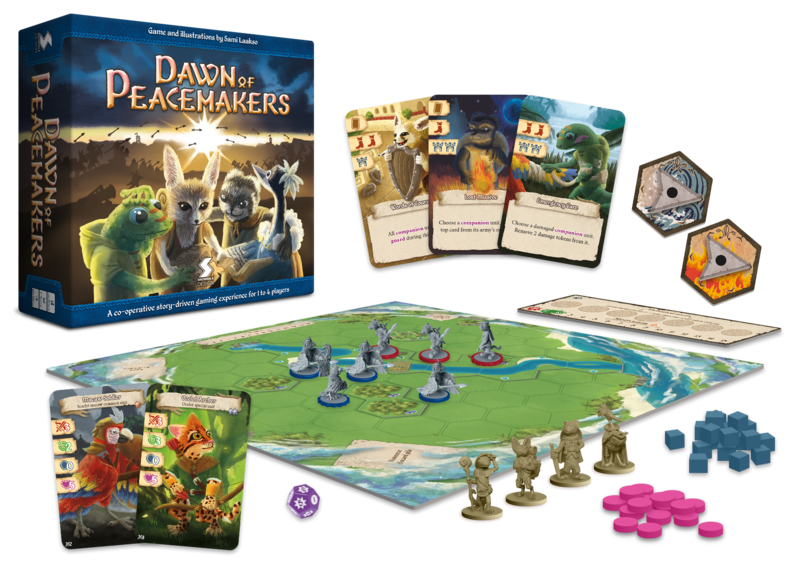 Dawn of Peacemakers has been released in the fall of 2018 and is up for purchase.